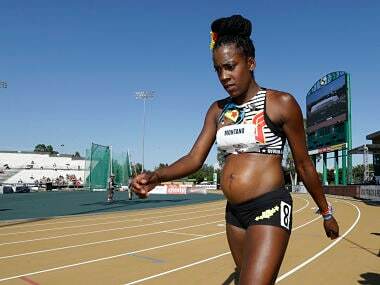 Sacramento: Five months pregnant and running an 800m in brutal heat, Alysia Montano lived up to the best traditions of the Wonder Woman superhero character on her running vest on Thursday. 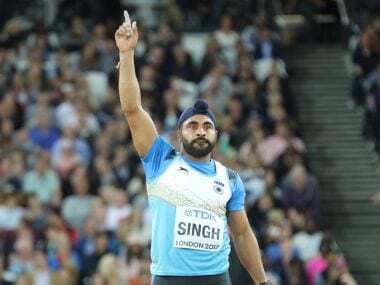 The 31-year-old from New York shrugged off sweltering conditions to line up in the 800m heats as the US World Championship trials got under way in searing temperatures of 110 degrees Fahrenheit (43 Celsius) in Sacramento. It was the second time Montano has run while heavily pregnant following her appearance in 2014 when eight months pregnant. In the end, Montano finished a distant last place, trailing home in 2min 21.40secs at Hornet Stadium. 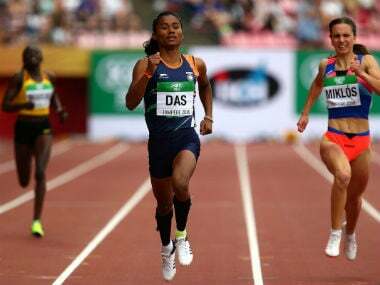 Nevertheless Montano was proud of her display and felt no ill effects from her two-lap dash. "I feel amazing," said Montano, who said she had been partly inspired to run after discovering that the star of Hollywood superhero blockbuster "Wonder Woman" — Gal Gadot — had been pregnant while filming the movie. "I thought it (the film) was amazing," Montano said. "And then I found out that she did half of the movie five months pregnant so I thought 'I will definitely be signing up for US Nationals'." Montano added that she had been mostly inspired by feedback from women who saw her racing while pregnant three years ago. "I heard from so many people who said they had been inspired by my story," she said. "I feel responsible to be a representative. I represent women, I represent black women, I represent pregnant women. It's been fantastic." Asked if she had been apprehensive about running in the searing heat, she told AFP: "Absolutely not. We are so incredibly privileged to live in America. There are women that birth babies after babies after babies in Saudi Arabia, in Africa. Honestly, two minutes running out in the heat?" "I know how to take care of myself. I drank a ton of water, took a lot of electrolytes, which is not always the case for women who have babies in parts of the world that are much hotter than here."